The great ones that grew up playing Ontario Minor Hockey Association have taken their places at the next level of hockey. 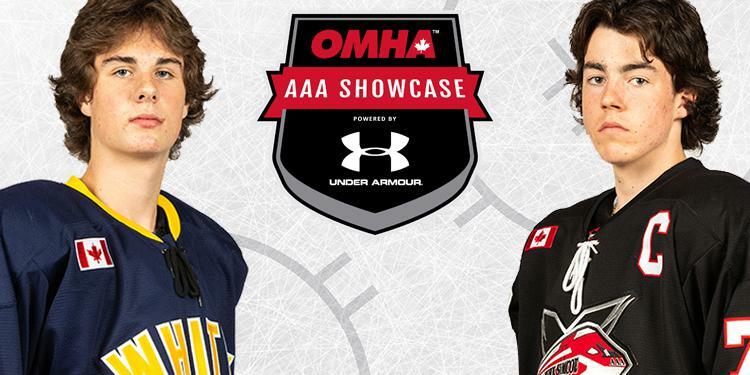 Now, the next wave of talent like Whitby Wildcats defenceman Owen Brady and Jacob Holmes of the York-Simcoe Express will take to the ice at the Ontario Minor Hockey Association’s Minor Midget AAA Showcase powered by Under Armour in Aurora on December 1-2. Thirteen Ontario Minor Hockey Association teams from the Eastern AAA Minor Midget League will battle head-to-head in a series of games in front of hundreds of pro, junior and university scouts at the Aurora Community Centre. This is one of the few times a year that all the league teams will be under one roof competing at the same time. This will be an action-packed weekend with high quality Minor Midget hockey. These players are some of the best that the OMHA has to offer. A list of players to watch, including Brady and Holmes, are listed below. The weekend will also include the OMHA Eastern AAA Midget All-Star Game and the rosters can be found at the bottom of the page. The event is a preview of the top picks in next spring’s Ontario Hockey League draft and, in a few short years, the National Hockey League draft. The OMHA is a premier development league with 84 players drafted from 20 different teams at the 2018 Ontario Hockey League Priority Selection, including seven first round picks. "The Ontario Minor Hockey Association has consistently developed bonafide prospects for the OHL year in and year out,” said Jason Ford, Barrie Colts General Manager and Head Scout. “This type of setting with all of the teams in the league playing in one place allows us to evaluate the league as a whole, and saves us a lot of time moving forward. This Showcase provides us with more information on players we are interesting in pursuing, and helps us pinpoint who we want to pay more attention to as the season goes on." The participating clubs are the Whitby Wildcats, Clarington Toros, Peterborough Minor Petes, Kingston Jr. Frontenacs, Central Ontario Wolves, Quinte Red Devils, Oshawa Minor Generals, York-Simcoe Express, Richmond Hill Coyotes, Barrie Jr. Colts, Ajax-Pickering Raiders, Markham Waxers, North Central Predators and two teams representing the Northern Ontario Hockey Association. The OMHA’s Showcase is also used to promote a path to post-secondary education for the athletes. Many OMHA graduates move on to attend and play at Ontario universities. The OHL and U Sports will host information seminars at the tournament to explain the pathways to junior hockey and university life. 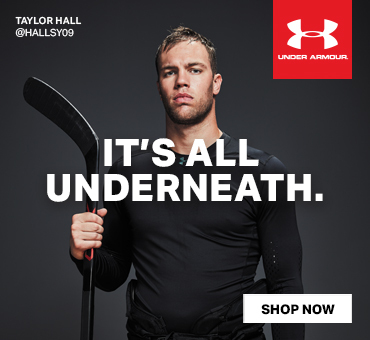 Partners for the OMHA AAA Showcase include presenting sponsor Under Armour, along with Gatorade, Muscle MLK, Ontario Hockey League (OHL) and U Sports. Skating is a definite strength of his – he has a good stride and gets up to top gear in a hurry. Armed with a good transition game, Raymond has a knack for getting the puck to open teammates or just uses his feet to get it up the ice on his own. Effective and reliable on both sides of the puck. Lindsay is an exciting player to watch. Highly skilled, he has very quick hands and very quick feet which leads him to win most races to loose pucks. Good positioning in the offensive zone. He sees the ice very well and generates a lot of offence for his team. Little adds to his team from the backend. An excellent skater, he’s a defence-first type of defenceman but has the ability to move the puck efficiently with his feet or his stick. A smart hockey player, Little makes good decisions on both sides of the puck. Dupuis is the prototypical power-forward. Big and fast, he has the ability to hit hard and separate opponents away from the puck. He is very skilled with the puck and makes plays consistently while being effective in dirty areas. Very skilled and crafty, Palmer-Stephen skates well and generates a lot of offence. A solid two-way forward, he plays a complete 200-foot game. With excellent hockey sense, he makes quality decisions on both sides of the puck. One of the best goaltenders in the OMHA, Smith is a southpaw netminder that has no glaring weaknesses in this game. He tracks pucks really well, has good fluidity in the net and challenges shooters. Smith is excellent at playing the puck, an underrated skill for goalies. An excellent skater with a spring in his stride, Larmand is a smart, two-way player that his team can count on in any situation. At 5’9”, Larmand plays bigger than he is and is effective in dirty areas. He has an ability to find open ice in the offensive zone and generate chances. Johnston is a good size goaltender that plays the butterfly. He moves well for size and does a good job keeping square to shooters. Calm and poised in the net, he has the athletic ability to take sure-thing goals away from the opposition. Avon is one of the most talented players in the OMHA this season. He has high-end skill and a hockey IQ that is off the charts. Excellent skater with breakaway speed, if he has open ice with the puck be prepared to scoop it out of the opposition’s net. Michaud is the premier power-forward in the OMHA this year. Big, strong, physical and an excellent compete level, he owns the corners and dirty areas of the ice. In addition, Michaud has excellent skills and makes the players around him better. Morelli has good size and uses it well when battling for pucks. Plays a smart and safe game, knows where to be on the ice and takes away time and space from the opposition. Distributes the puck well from the point and is effective on the powerplay. Brady is one of the most athletic defencemen available in the draft this year. At 6’4” and 185lbs., he is a beast that owns the corners and the front of the net. At the same time, Brady skates really well and is able to get the puck up ice in a hurry. Winterton does many things really well. He has high-end skill, skates really well and has an excellent work ethic. He does a good job of finding quiet ice in the offensive zone and when the puck is on his stick and has a great shot with a quick release. No matter what the score is, he plays every shift hard and always wants to make difference. Hache is a big, strong and physical defenceman. Effective battling for puck in the corner and clearing the front of the net, he plays a good gap and has a solid defensive game. With the puck, he keeps his game simple and does a great job moving the puck up the ice. Scouts have taken notice of the number of tools in his toolbox. Holmes is built strong and sturdy, skates well and has very good skills. He is the captain and leader of one of the best teams in his age group this year.